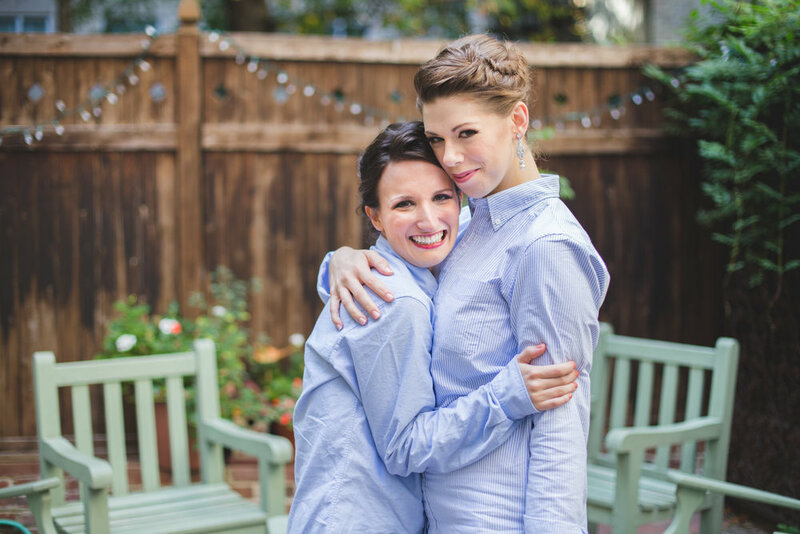 Lip Service provides bridal parties with makeup, and brunch on the morning of the wedding. 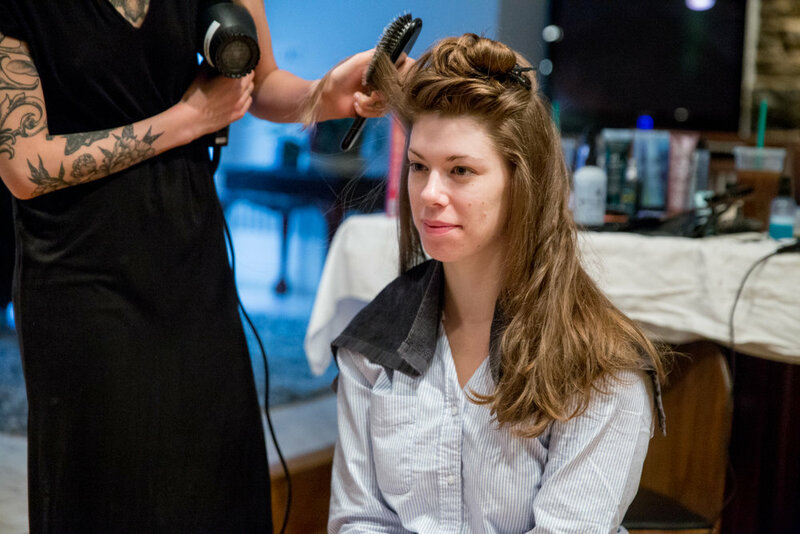 We take the chaos out of getting ready and transform it into a fun, unique and pampered affair. 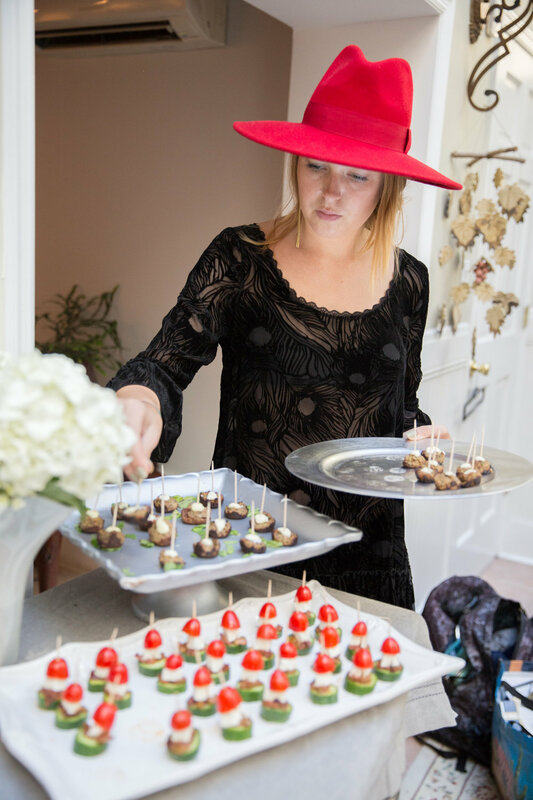 We work with you to create custom beauty looks and provide delectable hors d'oeurves and cocktails for your special day. Full makeup, hair, and brunch service. Pick and choose what's right for you. Why the combination of beauty and brunch? 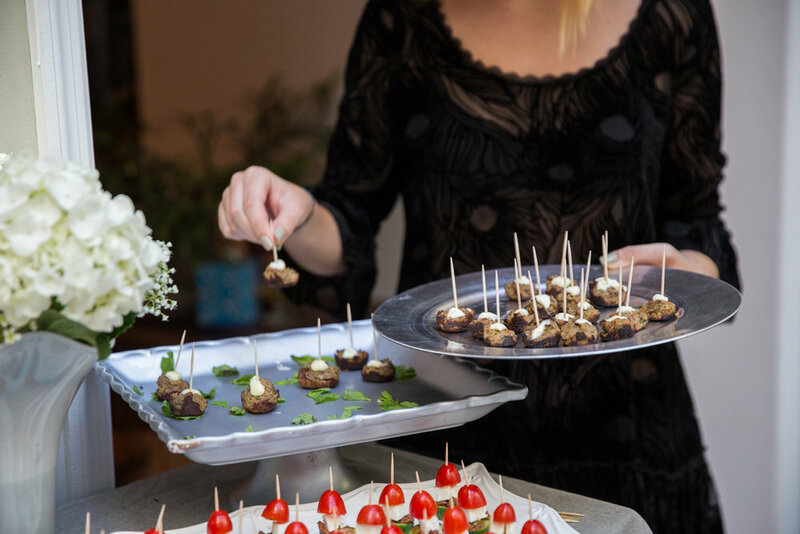 Trust us, there's nothing worse than a hangry bridal party. Hair and makeup takes time. 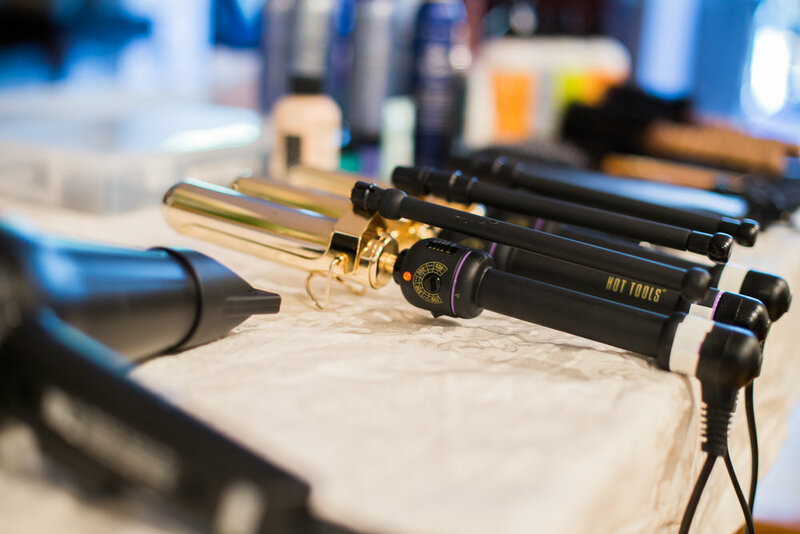 Add on moms, sisters, and aunts to a full party of bridesmaids and you've got quite the long morning of beautification. We've seen too many women sit in hair and makeup for hours and not have the chance to eat before it's time for the photos and ceremony. Arrive looking good and feeling good. The getting ready process should be a relaxing, fun, and most of all, a delicious time spent with your friends! Our brunch is light and comes in small bites that won't smudge your makeup or spoil your dinner. "Thank you so much for coming out to do my makeup yesterday. It lasted well into the evening through the party, after-party, and after-after-party. And I got so many compliments! I so appreciate it." "Everyone looked completely lovely! I got only positive feedback from my bridesmaids about it. I loved how you amplified everyone's natural beauty, no one looked super different, just fresh and glowing with their best features highlighted. It was the perfect blend of natural and dolled up. Everyone there felt pretty and pampered! Also, my make-up didn't freaking move even though I was a dancing fiend in a sleeved dress...so huge thumbs up for that! The food was delicious and suited everyone's dietary needs and was frequently replenished. My pickiest bridesmaids loved the eggplant croquettes, which I was surprised about! Honestly, everyone ate everything which was awesome. Everything was in perfect bite size pieces to satisfy you without feeling too full all at once when you're about to get in a very specifically fitted dress. The punch was just boozy enough to chill everyone out without being to crazy, the mint and orange with it made it super refreshing too." "My makeup was flawless. I got compliments galore all day. I seriously did not want to wash my face last night lol. Thank you so much!" "Again, you are amazing!!! You turned me into a total bombshell!! I was so sad when I had to take off my makeup at the end of the night." Thank you so much for the beautiful makeup! It lasted all night and was perfect! Everyone was complimenting us! My sister and cousin really liked their makeup too. Alexa and Pauline created Lip Service with the hope of turning the hectic getting ready process of the wedding morning into a unique and pampered affair. Alexa provides makeup applications for the bridal party, and Pauline caters the event with hors d'oeuvres and cocktails. They work with multiple hair stylists to complete the look. Alexa Blair built her foundation as an artist at MAC Cosmetics and has been freelancing for them for the past five years. She's trained in bridal makeup, runway trends and is certified in special effects. She has a knack for recreating decade makeup and has worked on many exciting film and editorial projects for clients such as New York Magazine and Charlene Kaye. See her portfolio here. Pauline of Sweet Mess Baking has an extensive background in culinary and the arts. Her experience in costume design and visual arts shows in her imaginative food presentation. She's Italian and Brazilian, and has spent the majority of her life traveling and working in multiple kitchens around the world. She brings fresh and exotic flavors into her dishes. Thank you for reaching out, we will be in contact shortly!